Closet Crafter: Almost Done with Trailer Exterior! Almost Done with Trailer Exterior! 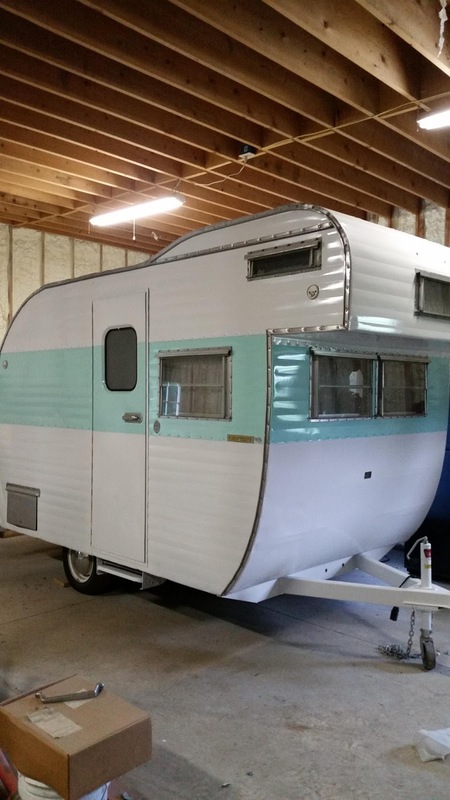 Just a quick post to show the finished exterior paint job on the trailer. It took a long time to get this done and an enormous amount of tape and drop cloth. We kept the original color theme and used automotive paint for durability and shine.. A little more trim work and she will finally be ready to hit the road ( and maybe a car show or two for fun).